If you are a Fresno resident with unfiled tax returns, or have failed to accurately report all of your income where required by the IRS, it is a serious problem that demands immediate attention from a knowledgeable tax attorney. Failure to file taxes or otherwise report full income can trigger hugely expensive civil penalties, and in some cases, can even lead to a criminal conviction for tax evasion or other tax crimes. You may be facing thousands of dollars in fines, years behind bars, and a conviction on your permanent criminal record. Even if you are not referred for criminal prosecution, the impact on your finances, reputation, and your professional career can be completely devastating. You need to take action today, before it is too late. The longer you delay resolving your tax issues and coming back into compliance with state and federal laws, the fewer opportunities you will have to correct the problem, and the worse your case's outlook will become. You may deprive yourself of the chance to participate in special programs designed to avoid criminal liability, or forfeit time extensions and other valuable concessions. How Should I Respond if I'm Questioned by the IRS? There can be no doubt that the IRS has a formidable reputation. Far too frequently, taxpayers who find themselves being questioned by IRS agents make disadvantageous statements because they feel nervous, pressured, or intimidated. It is certainly true that the “best” answer to IRS questions about unfiled tax returns is not immediately apparent. For example, if you respond in the affirmative and admit to failure to file, you may have just admitted to committing a crime, thereby opening yourself to aggressive investigation and potential involvement by the Department of Justice (DOJ). However, if you respond in the negative and insist that you are compliant and up-to-date with all of your required filings, you have also committed a crime by providing false information to the IRS. It would seem as though taxpayers in this situation are rendered helpless, and deprived of any viable options. In this scenario, an experienced tax attorney is likely to advise to neither deny nor confirm the IRS agent's suspicions. Instead, the better option is to request additional time to review your tax records. In most cases, the IRS is willing to grant taxpayers extensions of one to two months. This is a simple yet highly effective response that will buy you time to contact a tax attorney who will then advise you and negotiate with the IRS going forward. Can I be Charged with a Crime for Failure to File Taxes? As the previous allusions to criminal prosecution suggest, unfortunately the answer is yes, you can absolutely be charged with very serious crimes for failing to file your taxes, pay your taxes, or report your income. While the civil penalties are certainly costly, the repercussions of a criminal conviction are even more financially devastating. Pursuant to IRC 7203, the willful failure to file or pay taxes as required is a misdemeanor criminal offense, punishable by up to one year in prison in addition to a hefty maximum fine of $25,000 for individual taxpayers. (Note that for corporations, the maximum fine increases dramatically to $100,000). In other words, the fine for felony tax evasion is quadruple the fine for misdemeanor failure to pay or file taxes, while the maximum prison sentence is five times longer. You must also keep in mind the collateral consequences of a criminal conviction. In addition to the fines and prison sentences imposed by the judge, you will also be left to contend with the considerable difficulties caused by having a criminal record. You may find yourself barred from working in certain professions, lose the ability to obtain professional licenses and certifications, and may be turned down for loans and housing due to having a felony on your record. If you have unfiled or unpaid taxes, while the issue is serious, it is also important not to panic or make any rash statements to the IRS. The best thing to do is to immediately contact an experienced tax lawyer who can explain your rights and responsibilities while preserving your legal options. The tax attorneys of the Brager Tax Law Group have decades of practical experience helping the people of Fresno, and around the world negotiate with IRS agents. We will help you explore your legal options, and will guide you through the process at each and every step of the way. 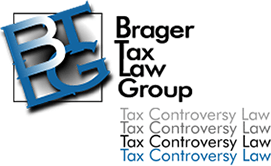 Call the Brager Tax Law Group at (800) 380-TAX-LITIGATOR today to schedule a private consultation.